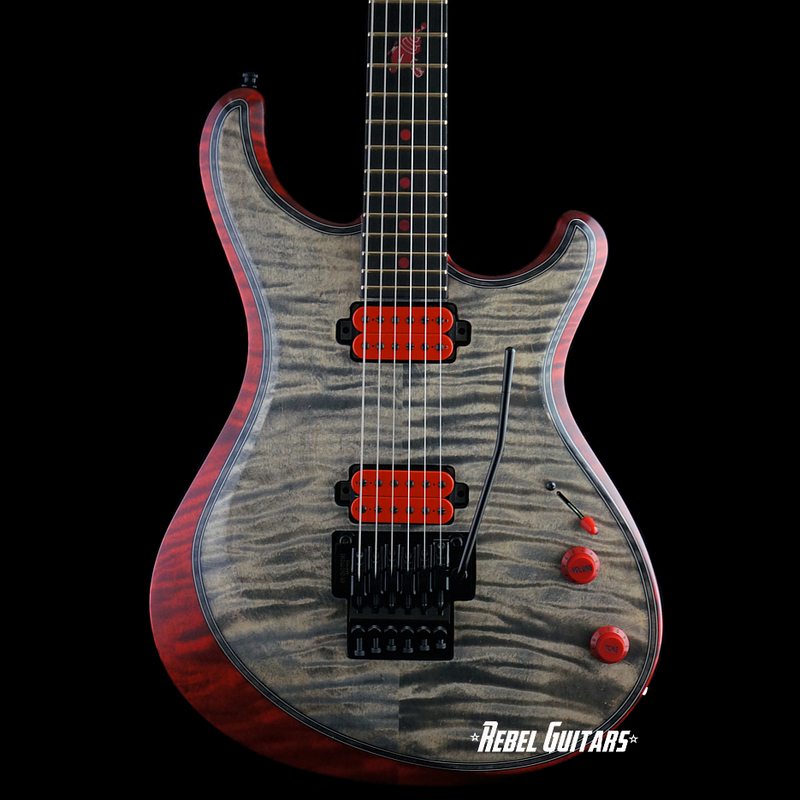 Here is the new Knaggs Steve Stevens Severn SS/XF. 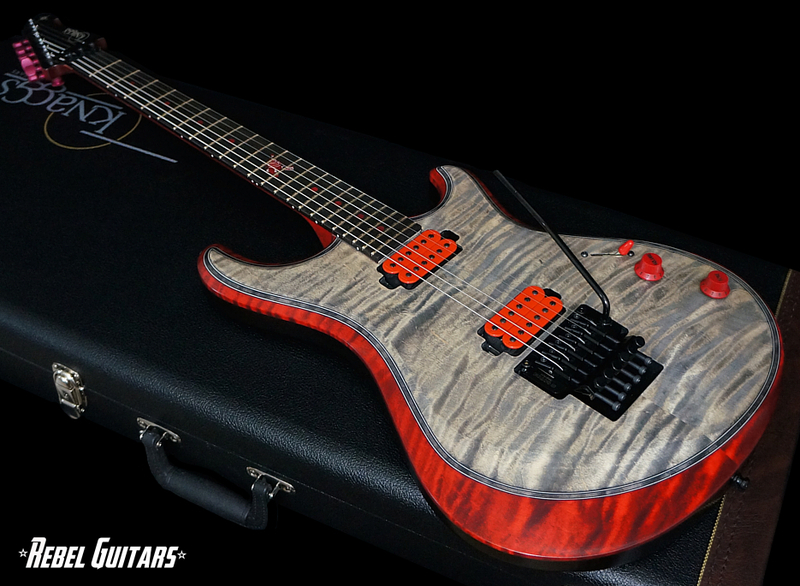 Specs include; Alder body, Curly Maple top with a double channel of purfling dividing the two colors, a matching stained Curly Maple neck, Ebony fretboard with red dots and a Ray Gun 12th fret inlay, Ebony headstock veneer with a Knaggs logo and morning star inlay, direct mounted Bare Knuckle SS/XF humbuckers with red bobbins, Gotoh GE-1996T licensed Floyd Rose tremolo, and red anodized Sperzel locking tuners. 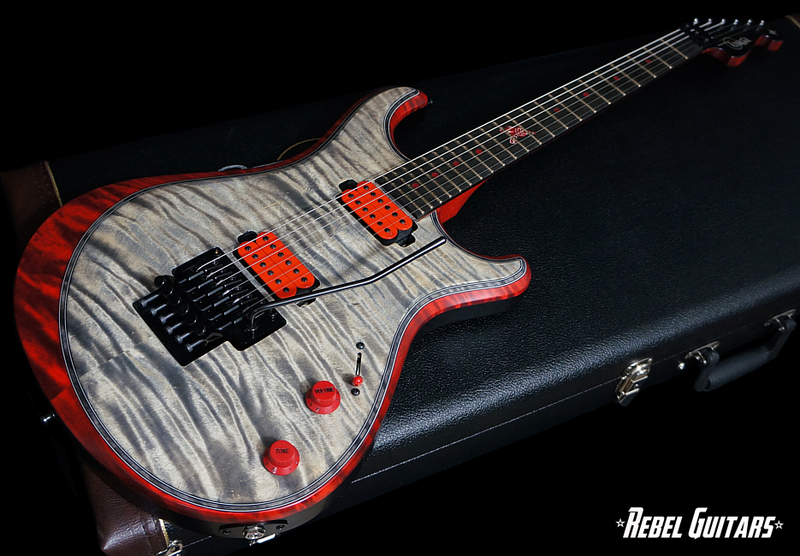 This is 1 of 10 Steve Stevens Severn models built with red appointments.